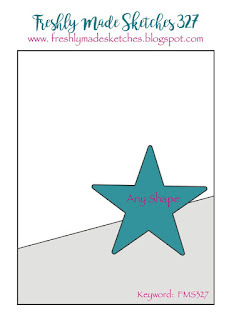 It's Fri-yay and I have another card for you. One of these days, I will take a break from using the Rose Flurries 3D die set...but it won't be today - haha! I'm using the sketch for the current Freshly Made Sketches Challenge which was perfect to use some of my massive patterned paper stash. I used Authentique's 'Irresistible' 6x6 pad and used Ranger's watercolor CS for the florals since I painted them with Zig Clean Color markers. The sweet little scallop border is from Reverse Confetti's Edge Essentials die set and the Happy Birthday Circle Frame die is by My Favorite Things. I first die cut all of the floral pieces then I colored them and blended with an Aquapainter. It's a really quick and easy way to watercolor when you use the Zig brush markers! MAR 9 - "To know what you know and what you do not know, that is true knowledge." Beautiful card. Love the design and pretty flowers with the Happy Birthday Circle. 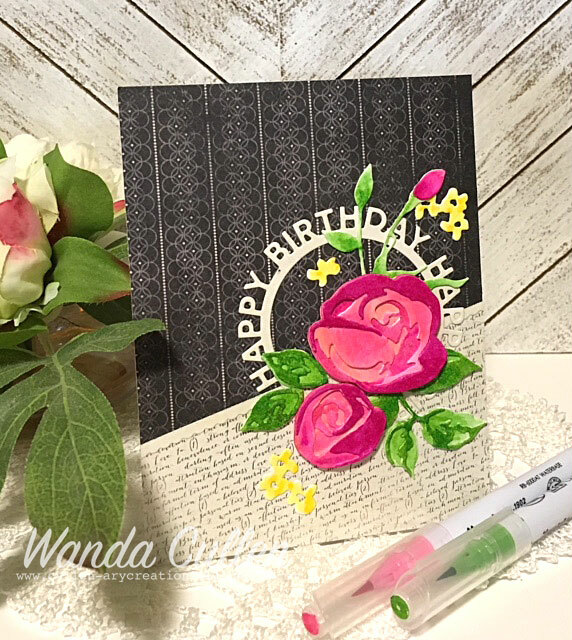 That MFT Happy Birthday die has been on my wish list for ages - I love how you've used it for the sketch Wanda. It fits perfectly behind those pretty blooms! Thanks for playing along at FMS this week! What gorgeous flowers! I love all of the pretty shades of pink. Thanks for joining us at Freshly Made Sketches this week!